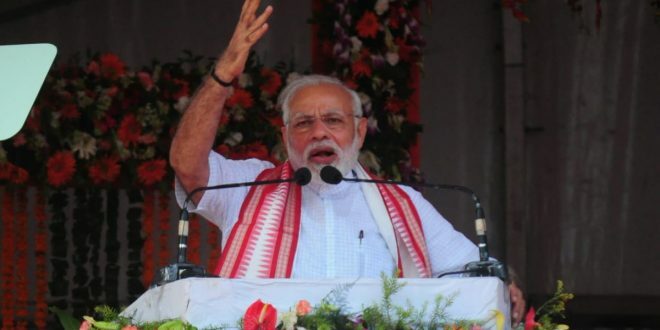 New Delhi/ Bhubaneswar: Prime Minister Narendra Modi will lay foundation stones for several developmental projects worth Rs.14,523 crores during his visit to Odisha on December 24. PM Modi will dedicate a new campus of IIT Bhubaneswar and lay the foundation stone for a world class permanent campus of IISER. He will also lay foundation of Paradip Hyderabad Pipeline Product Project (PHPL) by Indian Oil Corporation Ltd and Bokaro-Angul section of Jagdishpur-Haldia and Bokaro-Dhamra Gas Pipeline Project (PM Urja Ganga) by Gas Authority of India Limited (GAIL). This was informed by Union Petroleum Minister Dharmendra Pradhan and Union Culture Minister Mahesh Sharma at New Delhi today. The Prime Minister will also release a commemorative coin, stamp and chair at Utkal University to celebrate 200 years of the Paika rebellion. An archaeological museum at Lalitgiri, which provides evidence of the 2000 year old early Buddhist settlements in the region, will also be inaugurated. “These sites will be developed into high-tech tourist spots which will not only attract huge volume of tourists but also keep the memories of our rich history, traditions & sacrifices of great men & women alive in the minds of our future generations,” said Pradhan.